A new trend is sweeping the youth of the nation and unfortunately Fannin County is not immune to this growing problem. Thursday afternoon, September 6, Dr. Gwatney sent out a letter explaining a recent event at Fannin County High School. It’s been reported that students are smoking and inhaling electronic cigarettes. District Attorney B. Alison Sosebee contacted Dr. Gwatney sharing that several students from other counties have needed medical treatment after using these electronic cigarettes. Unfortunately, an incident has happened like this here in our own county. It’s been discovered that a substance known as, “Kronic” is being sold locally and the students are getting ahold of it; this has resulted in students needing medical attention and have been escorted to the hospital. Currently, Fannin County High School staff and faculty are doing everything they can to talk to our students about their decisions to vape and using electronic cigarettes. 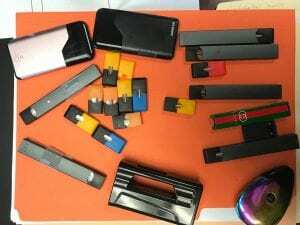 Our students also need to be aware and mindful of what substances they are putting into their electronic cigarettes and/ or vapes. Parents and guardians should be aware and look out for these items. Electronic cigarettes, vapes, etc. can look like USB flash drives, lighters, pens, and other common items. Please ask and talk to your students about what they know—and may not know—about vaping and electronic cigarettes. Let’s take this time as a community to take care of our kids.